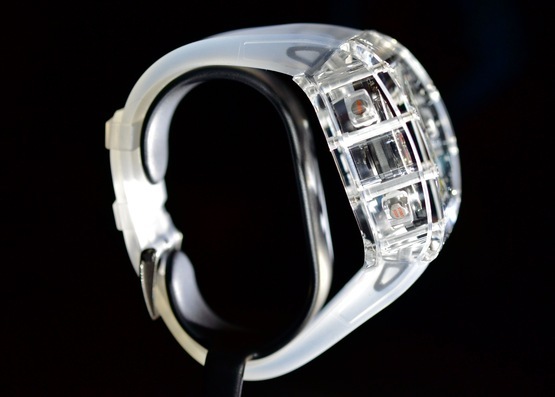 I have often thought of a watch case entirely made in sapphire crystal so that the inside mechanism could be explored. So I was pretty excited to see the new Richard Mille RM056 Felipe Massa Sapphire Tourbillon Split Seconds Competition Chronograph (yes this is the full name...). The RM056 delivers a very sophisticated hand-wound tourbillon movement with hours, minutes, chronograph split seconds, power reserve and torque indicators. The entire case is cut and milled from solid blocks of sapphire, an engineering challenge considering the extreme hardness of this material. 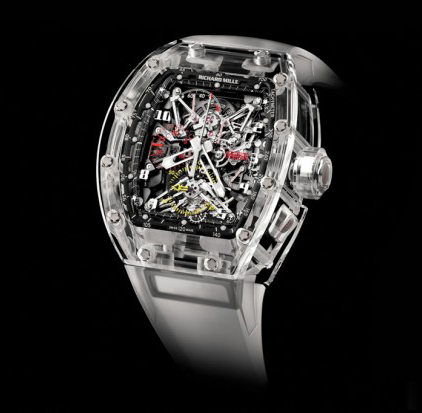 The result is a scratch-resistant case which unveils the complexity of the mechanism. All the bezel case parts have been treated with anti-glare coating for the best optical effect. 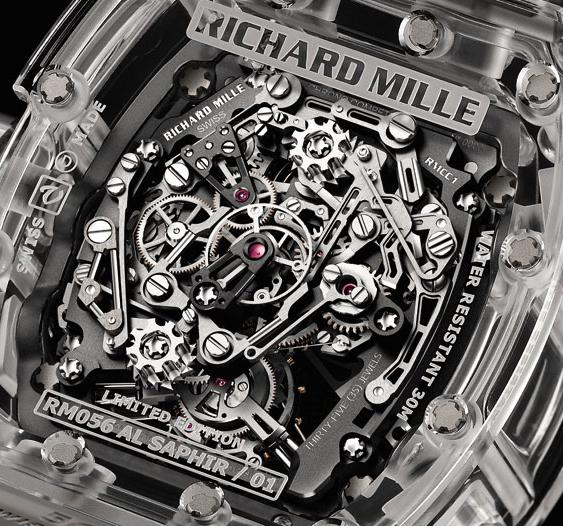 The movement is perfected in all its parts, most of which are in titanium for a total movement weight of less than 10 grams. 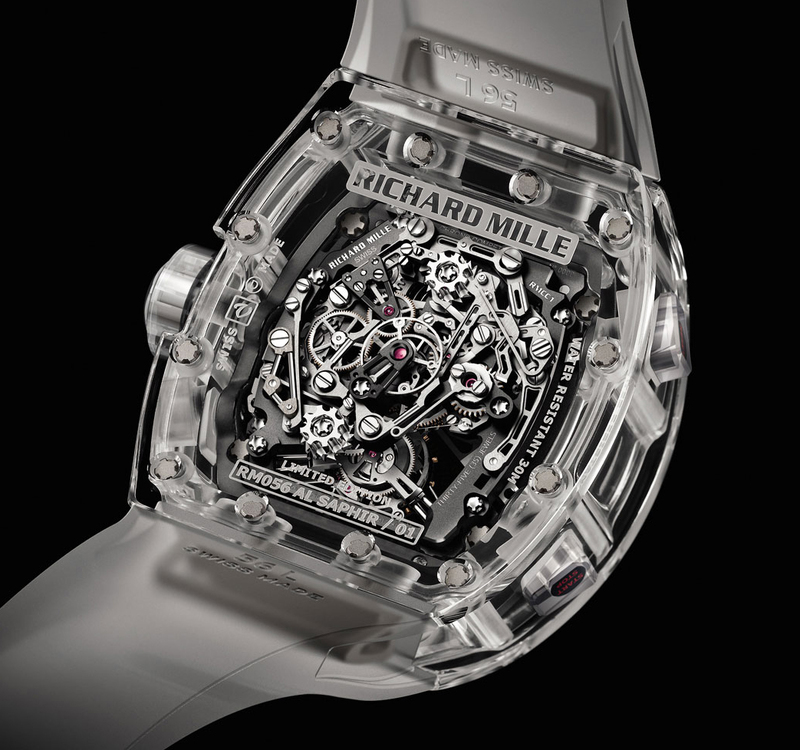 This exclusive watch is available in a Limited Edition of just 5 pieces - already sold - at the price of $1,65 million. Yes, you read correctly. 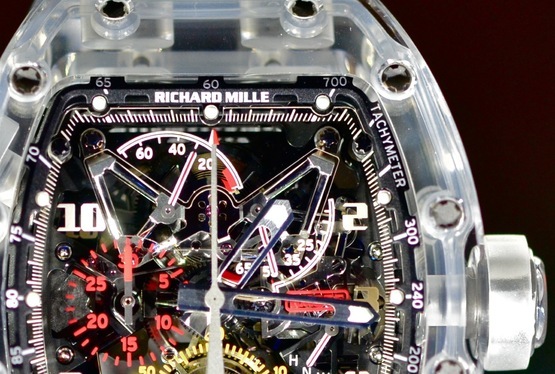 Hopefully in the future we might see other watches, possibly more affordable, with sapphire crystal cases like this.